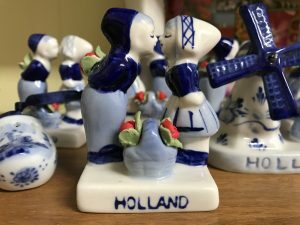 Jubon Juweelen has one of the best solections of Delft items in the United States. In fact, one customer once remarked that they saw more Delft in our store than they had seen in Holland. We also have Dutch towels, Dutch magnets, and Dutch food including sprinkles.